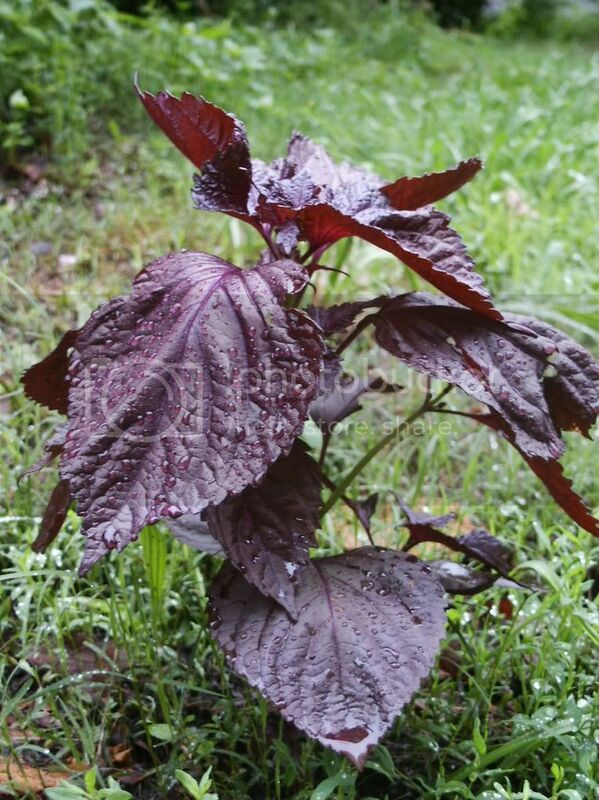 I have 1) a reddish purple mystery plant about 5 inches tall and 2) a feathery, frondy thing about 2.5 feet tall which has helpfully just started to bloom. I've taken pictures, so now I'm going to figure out how to post them. Edited again to add pic of frondy, feathery mystery (this one I rotated on my computer before posting to Photobucket). The purple one looks like Perilla. If it's strongly fragrant, then it might be Japanese red "Shiso" -- sorry don't know scientific/common name -- which is what is salt pickled with plums to color Japanese umeboshi -- extremely salty, soft somewhat sweet and wrinkled (like prunes but with tender skin) or salty, hard and crunchy little round fruits. The frondy one is Achillea (Yarrow). Thanks! Plant ID I can't do (maybe I should post pics of my garden so maybe I could target the weeds! Don't feel bad Jenny. A lot of us can't recognize what we planted until we've been looking at it for a long time. I planted a bunch of bulbs last fall, recognized the crocus when it appeared this spring, but had to inquire about the second bulbs to flower. My tulips. I was so embarrassed - isn't it one of the most recognized flowers? I've gotten fairly good at knowing the weeds that I've seen over and over. But young weeds often look like flowers and vice versa. I usually try to wait to pull the weeds until they get big enough for me to fully grasp the weed as if strangling it with one hand, then yank. 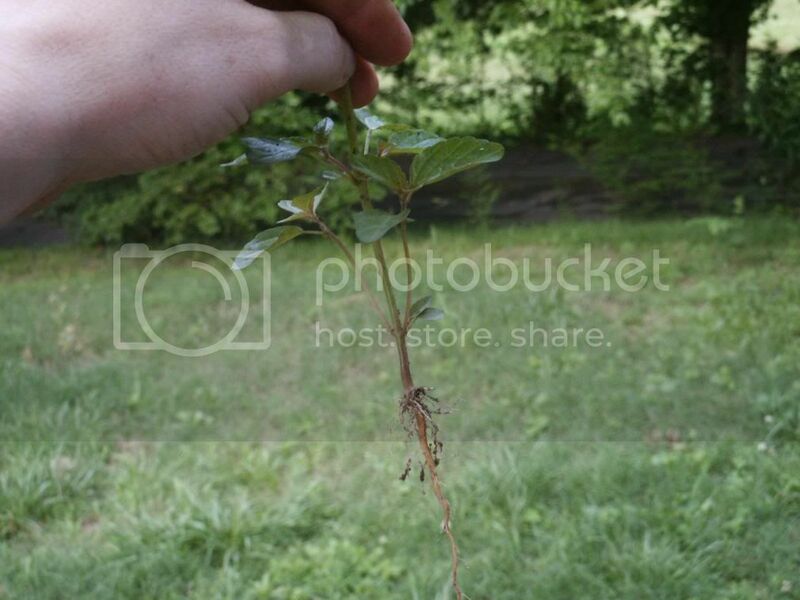 Occasionally, a flower gets pulled when the weed is growing close to the roots. I pull a lot of my strawberries because of the weeds. 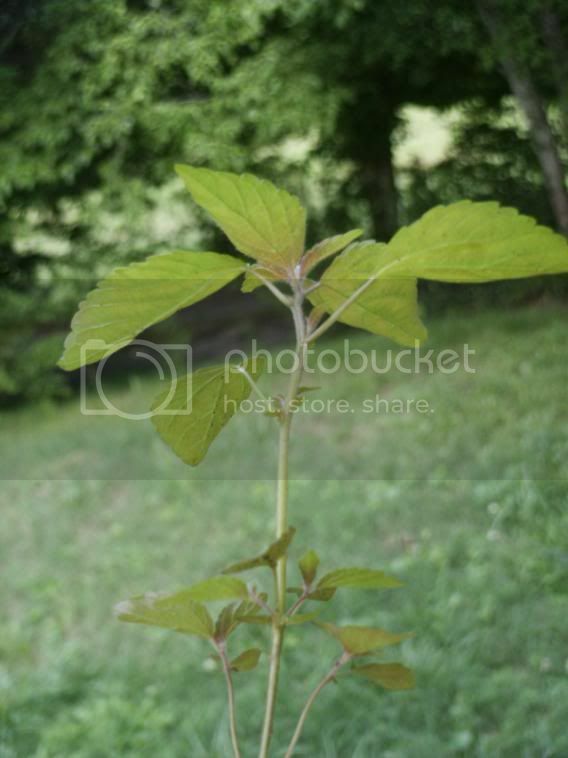 JennyC - I can't find it now, but the other post in which you said little seedlings are popping up everywhere -- I think they rather look like Perilla/Shiso. They get more purple and frilly as they mature, they do freely re-seed from year to year, and once you let them go to seed, you'll find them growing everywhere. In my area, the fall frost kills them instantly (like coleus), I'm wondering if the mature specimen in this original post manged to overwinter in your area. Isn't coleus considered binennial in frost-free regions? Yarrow is wonderful stuff! It is great if you have prickly heat, make a tea from it and drink the tea, and then chew the steaped yarrow and place that on your wound. The tea is nice to drink anyway. CheshireKat: thanks. I can't seem to identify much of anything; that's a lack of recent personal experience. I'll get better, I know. 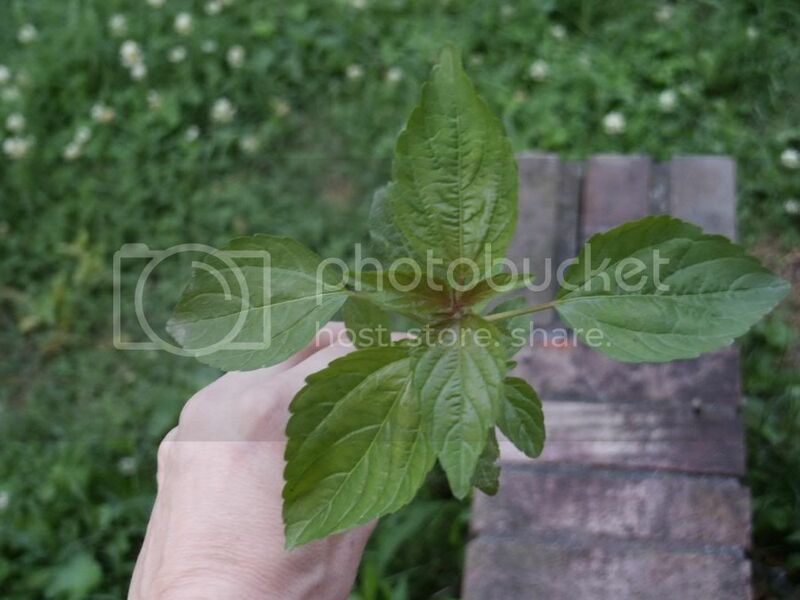 Applestar: I can't find it either But it would be lovely if it were perilla/shiso. I would imagine some might well overwinter here, though I doubt that plant is the parent of all the littles I'm seeing -- I have them in the garden and on the front porch steps, opposite directions from the plant you ID'd, and both a long way off (garden is probably 50 yards). I did repost that pic somewhere else with the comment that no one had ID'd it, but that was before I saw your post. Opabinia: which part of the yarrow do you make tea from? And what's prickly heat? Thanks! You use the leaves. Pricly heat is a rash that some people get when exposed to the sun. However, the plant would be equally good for a sunburn or any other rash you would have. Thanks, Opabinia! 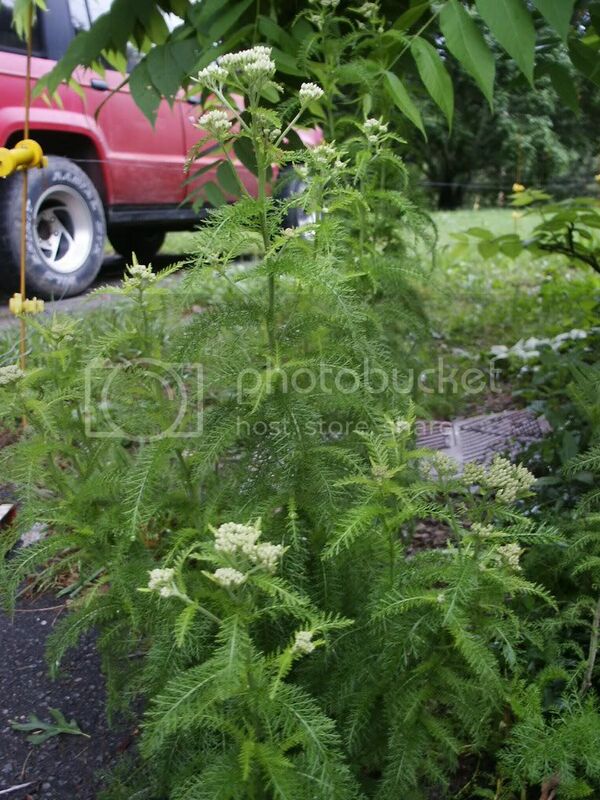 I just suggested trying yarrow to my mother, who's taking niacin for cholesterol (statins don't agree with her). The niacin causes flushing, and while it might not help since it's not prickly heat, the yarrow isn't likely to hurt, either. I am pretty sure your latest pictures are a self seeding annual of somekind but for the life of me I cannot think which. Those leaves look so familiar. Probably in the small hours of the morning it will pop into my head! Have had it suggested that it's pigweed or that it's Acalypha. I'm leaning toward the Acalypha, but my little guys aren't really hairy, and both of those are supposed to be, so I'm not positive. Regardless, I pulled them out of my squash patch. Is this Catnip or some other herb? Or a weed?